There are countless websites expounding on the problem of toxin chemicals in our toxic world and how we are all near death because of them. They also extol the virtues of their particular detox protocol, medication, supplement or cocktail which will fix you in no time at all, most of them with very little evidence behind them. So, is it all hocus-pocus? What works, what doesn’t and how do you go about detoxing if it is necessary? So what are toxins and why should we need to “detox” them. Conventional medicine will insist that detox is a metabolic process done mostly by the liver in which certain substances harmful to the body are inactivated or destroyed. These harmful substances, like heavy metals, can then be excreted into the gut through bile.55 This ability of the liver, conventional wisdom will tell you, need not be augmented or aided except perhaps in extreme circumstances such as acute poisoning where medically supervised chelation therapies may be used to remove the poison. However, with the onslaught of toxins from so many sources in modern times (eg pesticides, herbicides, antibiotics and hormones in our food and water, air pollution, numerous harmful chemicals in the various substances we use on our skin, second hand smoke, plastic packaging, moulds) it makes sense that giving the body some help in removing some of these may be beneficial. Unfortunately for some people, the ability of their liver to detoxify various chemical elements may be compromised by their genetics. Having a genetic polymorphism (a less functional form) of the MTHFR gene leads to a compromised ability to deactivate toxins, use vitamins B12 and folic acid and is implicated in cancer, Down’s syndrome, psychiatric disorders and many others.10 And this polymorphism affects 30-50% of the population reducing the effectiveness of the enzyme it produces 30-70%.9 This may explain why some people, who seem to have the same exposure to toxins as other people, are affected more quickly or adversely. In South Africa you can test to see whether you have the MTHFR polymorphism here. So how can one test to see if they have a toxic burden? There are 3 main methods: blood, urine and hair. Fat biopsy is a gold standard but used mainly in a laboratory. Blood testing for toxins is good for acute exposure as it gives a snapshot of current blood levels of a chemical. This does not however give a good idea of chronic exposure. At the end of the day, if testing is done, it should be correlated with symptoms and then redone after any detox protocol to determine improvement. Some protocols suggest doing all 3 analyses to get a more rounded picture of exposure. How do you go about detoxing? Before attempting a detox protocol it is more useful to limit exposure to the toxins in the first place. Avoid and then eliminate. Detoxing will only take you so far if you are still piling on the toxins through daily habits. If you live in a cabin in the wilderness, drinking water from a mountain stream and catching and growing your own food, you can skip this section. Eat real foods that are organic, free range and less likely to contain hormones, antibiotics and pesticides (growing your own food is a great place to start). See the clean 15 vs dirty dozen13 for those foods that are better bought or grown organic versus those where it is not so necessary. Most packaged food contains added chemicals for storage, taste and other purposes, some of which may be harmful to the body. Avoid foods that are likely to cause inflammation in the body. See this article for a discussion of diets which can help prevent inflammation. Don’t store or heat your food in plastic. Drink water that is filtered or from a spring, and not from a plastic bottle, to reduce the chance of the water being contaminated by chemicals like BPA. Consider moving if air pollution is particularly bad in your area or look into a home air filter. Look for soaps, deodorants, shampoos, toothpaste, makeup and detergent that is made from human (and nature) friendly chemicals. Avoid medications that are not absolutely necessary. Put your car aircon on recirculate when in heavy traffic. Have mercury amalgams removed from your teeth by a dentist very experienced in this procedure. Detoxification (i.e. changing a harmful chemical to a harmless one) is done by the liver. There are 3 main ways the body then eliminates these toxins from the body: gut, urine, and skin. So when we talk about detoxing we are either supporting the liver in its detox or aiding elimination of the toxins through gut, urine and skin. The methods used for detox will stick mainly to those which have at least some decent scientific evidence for efficacy. Therefore there will not be discussion of colonic cleansing46 and green juicing even though they may be useful for some people. Although the scientific evidence for their efficacy in detoxing is poor, there are multiple sites to peruse if you would like to investigate these further. Studies have shown that sweating may release higher concentrations of toxins like heavy metals and BPA than are found in urine and blood.23,24 Besides the numerous other positive effects,25 one of the best methods of increasing sweating is sauna use. It has a long history of safe use in detox protocols around the world.26 Definite prescriptions are difficult to give but 10-60 min (depending on heat levels) 2-7 times a week has been shown to have a reduced risk of all-cause mortality.27 It is important to remember that mineral and water loss occurs along with the toxins so it is important to replace these after a session. Just add a pinch of Himalayan or sea salt to water. NB: People with skin conditions, serious heart conditions or who are pregnant should avoid sauna use. Cold acclimation has been shown to increase glutathione production, reduce uric acid48 and increase metabolic activity through stimulation of brown fat49 which may have an effect on weight-loss. Besides nothing feels as good as a cold shower after an intense sauna session. Since, as established above, many toxins are stored in adipose tissue, any process that causes lipolysis or fat breakdown is likely to lead to release of these stored toxins. This has been shown in several studies.20,21,22 Therefore any diet which promotes weight-loss is likely to be effective, as is fasting. a. Activated charcoal: this is normal charcoal which is heated and a gas is used to increase the number of holes or pores. As a result the surface area of 1 gram can be anywhere from 1500 to 3000m2.28 This allows activated charcoal to adsorb a large amount of poison or toxin. 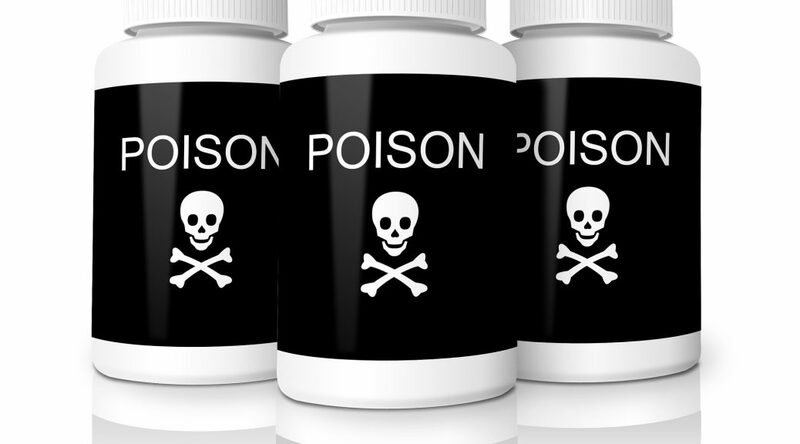 It has been used safely for over 150 years in the treatment of acute poisoning.29 Activated charcoal has also been shown to adsorb BPA30, aflatoxin31, metal ions32 and numerous drugs33, although its effect on alcohol is sadly poor. However, it must be said that there are few studies showing that it will work under non-poisoning circumstances to remove toxins from the body34, although lack of evidence does not mean this may not be happening to some extent. b. Clay: bentonite and zeolite clays have similar properties to activated charcoal but less evidence in terms of toxicant adsorption. d. Selenium: binds to mercury rendering it non-toxic.50 Found in good concentrations in foods like brazil nuts. So it is worth eating with fish. g. Methylcobalamin and folate. These are the natural food forms of vitamin B12 and B9 respectively which are especially important to take if you have the MTHFR polymorphism discussed above, as they are involved in supporting the liver’s detoxification pathways along with other B vitamins. Folic acid is a non-methylated synthetic supplement which may be associated with cancer47, and should be avoided. Chelation therapy should probably be reserved for those who have significant symptoms related to heavy metal toxicity, have been heavily exposed to toxic metals or who are having mercury amalgam removal from teeth. Those looking to investigate this method further can go here and here. Detox is a controversial topic but I think there is enough evidence that the potential benefits of following a basic protocol to reduce exposure to, and improve elimination of, toxins far outweigh any risks. In fact, even if it was shown in future that there is no benefit, in terms of detox, to the following protocol, there are still multiple other health benefits to be obtained. This protocol is for those who want to reduce the impact of the toxins of living in modern society on their bodies. If you have had a significant exposure to heavy metals or other toxins, are considering or have already had mercury amalgams removed from the teeth, or have evidence of a high toxin levels causing illness in your body, then it is suggested that you consult with a medical practitioner skilled in toxicology and chelation therapy. Drink a glass of water an hour with a pinch of a good sea salt or Himalayan salt an hour before exercise. Take approx. 500 mg activated charcoal or 2-6 grams of chlorella or a clay (not on the same day but should be alternated) just before exercise. Exercise for 30 min. HIIT is best. Sauna for as long as it takes to get a good sweat going and becomes unbearable to stay there. This will vary depending on the sauna temperature and humidity and individual tolerance. Sweat lodges and steam rooms should also do the trick. Avoid this step if you are pregnant or have a significant skin or heart condition. Cold shower or ice bath or just dip in the nearest cold body of water if available. Repeat steps 4+5 if time allows. Take a liposomal glutathione or NAC and ALA supplement at least 60 minutes after the activated charcoal. This could also be done at the same time as point 1, depending on your preference. As discussed above, each of these steps has some effect on its own in terms of detox, so it not necessary to do the entire protocol to get some benefit. However, stacking the various steps is likely to produce a greater combined effect. Following a protocol like this 1 or 2 times a week is advisable, although as described above, the more times you sauna a week, the greater seem to be the effects on long term health. Let me know if you have any positive or negative experiences associated with detox or think something should be added to the discussion. Great article. Thank you for the great advice.